Resin Pool/Snooker Big Break Awards. Available in 2 sizes, 130mm and 160mm high. 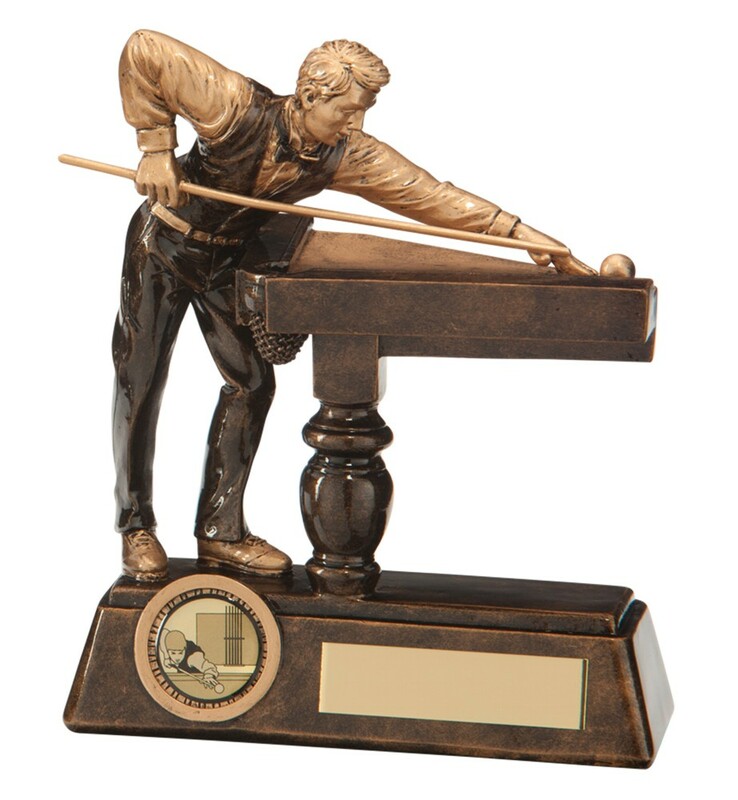 Antique bronze with gold detail pool/snooker figure, cue and table.